Refresh Liquigel Eye Drops for persistent dry eyes. 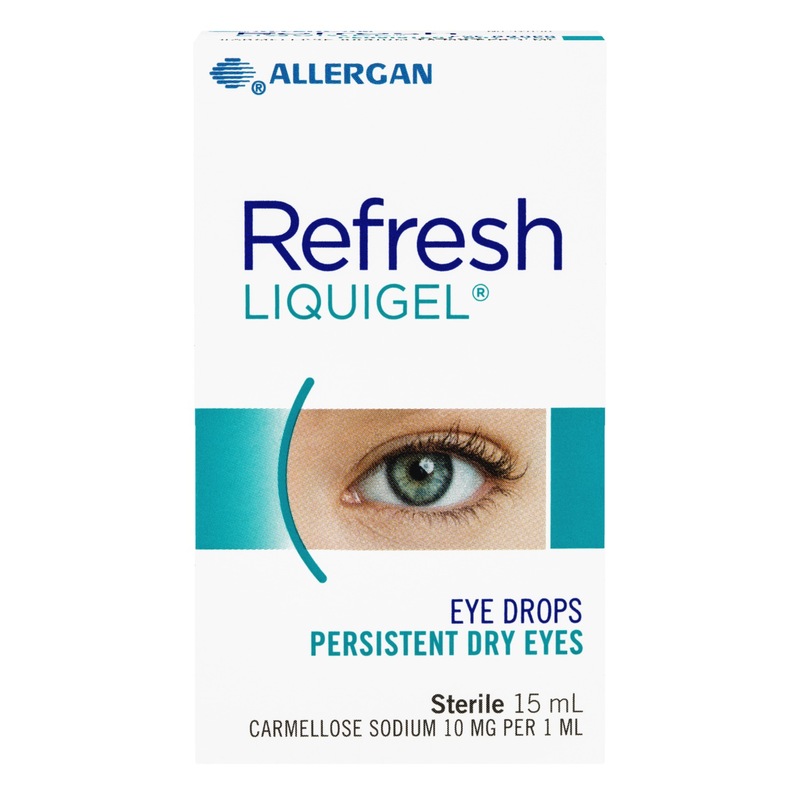 REFRESH LIQUIGEL® extra strength relief is specially formulated to help restore moisture to persistent dry eyes. It contains some of the same healthy qualities as natural tears. The advanced preservative technology, Purite, breaks down into components of natural tears when instilled into the eye. For extra strength, temporary relief of persistent dry, irritated eyes. May also be used to protect eyes from further irritation. Each mL contains: 10 mg Carmellose Sodium and 75 micrograms PURITE® (Preservative).